With the internet being so accessible and social media being popular it’s so easy to jump on band-wagons before doing the proper research; many have done this only to later find out they were being lied to, following the wrong people and information. This very situation has cost people their lives, friendships, jobs, etc. 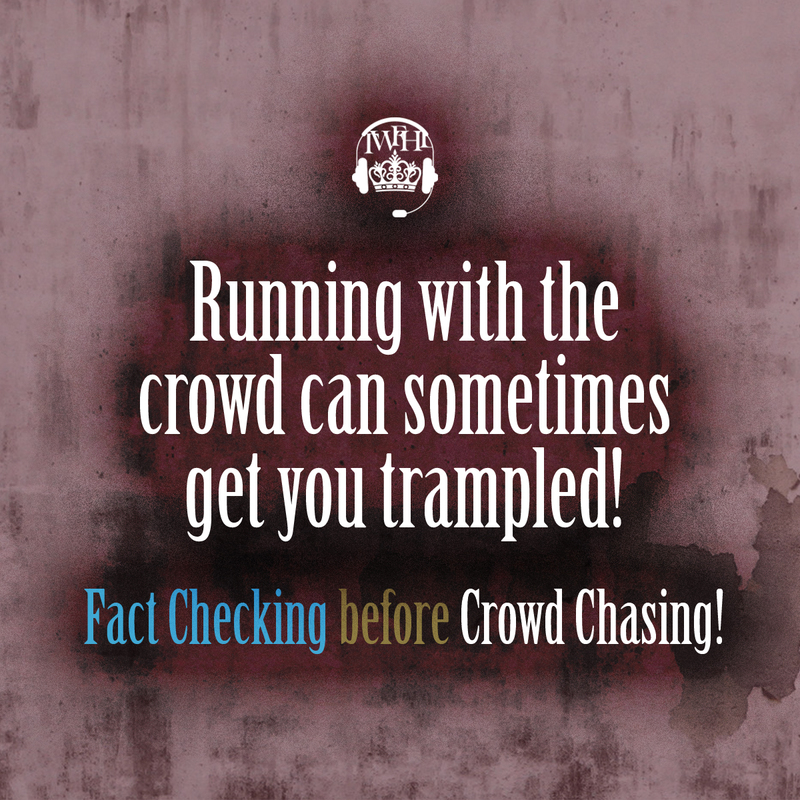 Before you run along with the crowd, be smart, be wise and think about what’s being said and done; research and make better decisions based on the facts!